my pressure gauge just took a dump, is there a good quality gauge that does not break? oh this pressure gauge is for the filter housing. Like many things you get what you pay for, and pool equipment suppliers sell the cheapest type they can get away with. If you don't want to spend a fortune on a good gauge I suggest looking at ebay (search on psi gauge and look for one in the right pressure range from the industrial section). While I have never bought a pressure gauge for a pool from there, I have bought ones for other applications often at a fraction of retail cost. I think most all would be rated for water, but if you can select one that shows a WAG (water/air/gas) rating. All the pool pressure gauges I have seen use 1/4 inch male NPT fittings. Check out a Wika Stainless mineral oil filled gauge-- sometimes ebay has them for about 20 to 25 bucks.. But they are worth it. Had mine going on for 3 seasons now. Beats paying 8 dollars a season for one. The Wika gauge is an excellent suggestion. You'll also help yourself by getting a bottom mount gauge and mounting it using an elbow. One of the issues with a back mounted gauge in this application is that the bottom of the bourdon tube fills with water and the slightest freeze ruins it. And don't leave it outside if your winter freezes. I let my PB close the first year just so I could see what they did and to avoid any warranty issues if something broke--and THEY left the gauge on the filter. Sure enough, it busted and I got a new one for free in the Spring. You can get 4 or 5 years or more out of a cheapie if it never sees a freeze. That replacement is from 2005 and still going strong, spending its winters in my basement. I like the sound of these Wika gauges--I'm gonna do some Googling here since I am about due for this one to die. 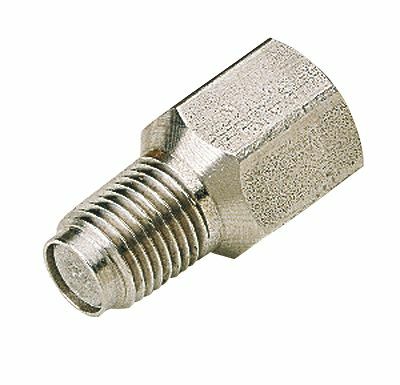 The Wika gauges are very common in industry and everywhere due to their low cost. If freeze protection is required a diaphram sealed unit will protect the gauge but the cost will make you think twice about how much trouble it is to remove the gauge...and you still have to replace the diaphram if it bursts. One thing I have noticed with most sand filters is the housing being made of plastic makes it possible to overtighten the gauge which could damage the filter housing, I have put a 1/4" NPT nylon plastic street elbow in the housing with a SS wetted parts bottom ported gauge on the filter with SS snubber inline to provide pulsation protection to the gauge. 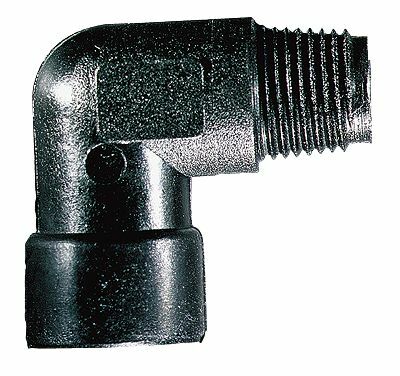 The plastic elbow will crack and break without damaging the filter housing and is cheap to replace and the bottom ported gauges are cheaper to buy, having plastic and metal components threaded together means different expansion values for the components which could crack the plastic. To aid in sealing and prevent overtightening I use 10 wraps of teflon tape on the gauges and snubbers on plastic NPT threaded interfaces. This is the gauge I have mounted on my filter, it is the most common process gauge I stock in 0-30psi range and looks similar but filled with glycerine. Here is the SS snubber I use to protect the gauge from pressure pulsations. Here is the nylon street elbow to make the conversion to bottom mount, Cole Parmer can ship anywhere in the world and is a great supplier of plastic fittings and gauges etc. Cole Parmer also sells Ashcroft gauges which are excellent too, this model is all SS and has a built in snubber which reduces the number of parts to buy/ship. It may be more expensive up front to purchase these quality gauges but snubbed and taken inside every winter it will likely be the last gauge you ever buy, not to mention remove a copper/brass component in the water stream that can corrode. BTW: back ported or bottom ported gauges are the same and water will collect in the bourdon tube no matter what you do, the only way to prevent water collecting in the gauge is to invert a back mounted gauge so it self drains or buy an expensive process series gauge (back or bottom mount) which is basically the same gauge with the bourdon tube at the top making it self draining...but the gauge reads right side up. Now you know why some engineers invert back mounted gauges on process equipment, its cheaper than buying a process gauge which is the same internally anyway.